I’ve made this recipe twice so far. The first time it was for a friend’s bridal shower back in May. Then another friend saw them I asked if I could make some for her birthday. And, of course, I said a big yes! Preheat oven to 175oC (350oF). Place 18 paper cups in muffin tins. Combine all ingredients in a large bowl and beat with an electric mixer until smooth and pale (2-3 min). 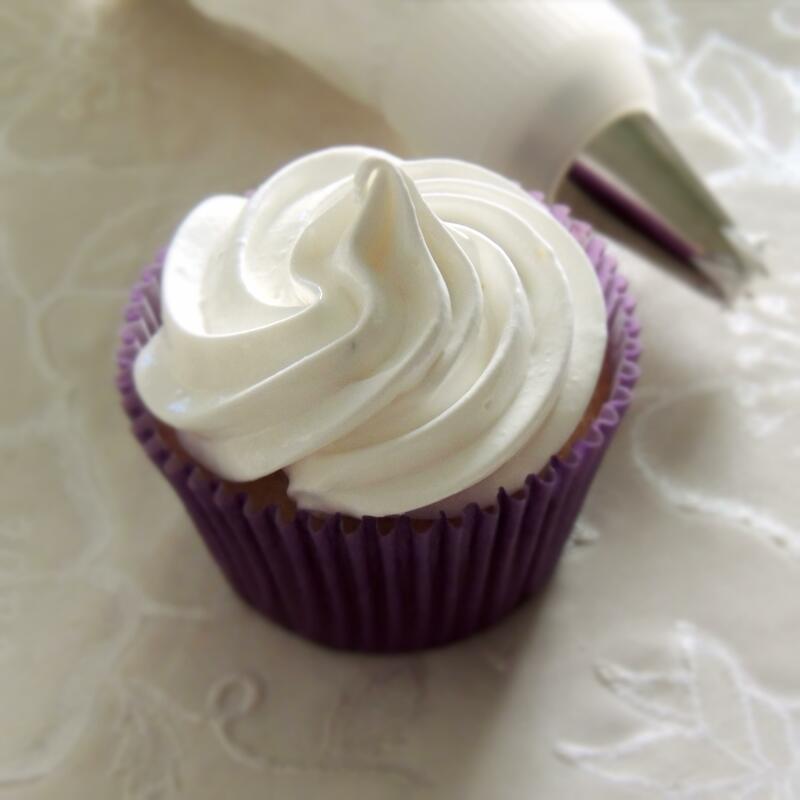 Using an ice cream scoop, fill the paper cups up to ⅔ and bake for 20 min. Let them cool for 5 min in the tin then remove to a cooling rack. Put all the ingredients in a small bowl and whisk to combine. Let it stand for 10 min and see the magic happen (it thickens all by itself!). Core the cupcakes, fill with lime cream and put the tops back on. Mix together sugar, whites and cream tartar in a heat proof bowl and put it over a pan with simmering water. Beat it with a whisk until the sugar has dissolved and the temperature reaches 60°C. Take away from heat and beat with a mixer until hard and shiny peaks start to form. Add lime zest and give it a whisk just to incorporate. Leave it in the fridge for 15-20 minutes and apply using a piping bag. Then, if desired, use a blow torch to burn the meringue a little. Erika, my mouth is watering. I am planning to take cake decorating class (how to pipe frosting), to be able to pipe like this. Yum! Beautiful Erika…love the lime twist! Thank you so very much, Bonnie! 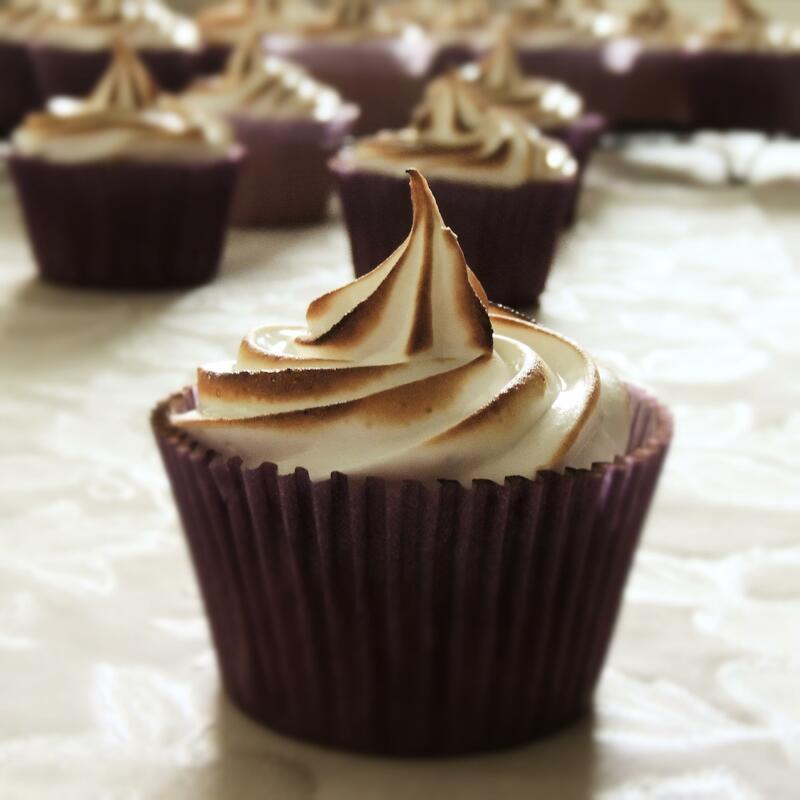 Those look great, I like the blowtorch effect. Thanks for linking up to Sweet and Savoury Sunday, stop by and link up again. Have a great day!! I need to get me a kitchen torch! 🙂 They look delicious! These look so cute! I love the idea of having a surprise center of lime cream…yum!